The latest release of WordPress that is the 2.9 series has a very handy feature for driving traffic to your blog from search engines (i.e. organic traffic). In the Image Upload dialog box of WordPress 2.9, after you finish uploading an Image you might notice that there is a new field for adding an Alternate Text to your Image. Now there is already a lot of content on the web that talks about importance of alternate texts in your images. 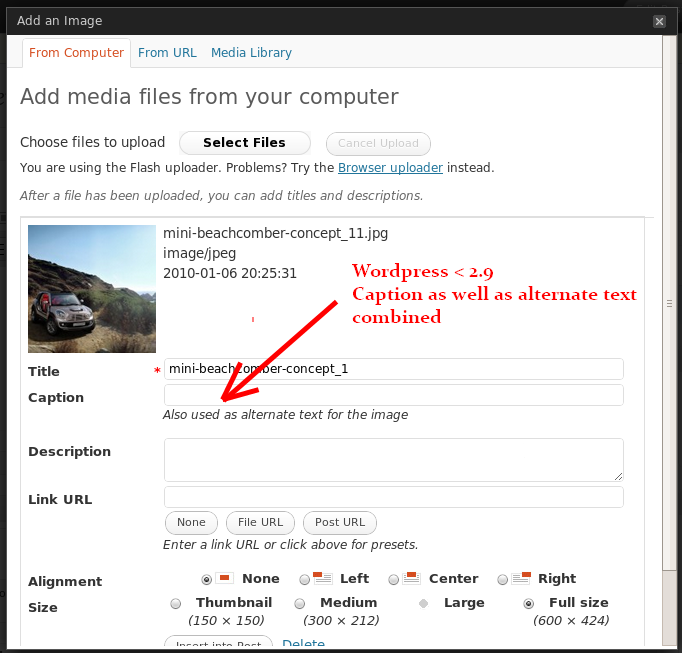 Check out the screenshot of the Image Upload manager in WordPress (versions prior to 2.9). In this, as you can see the field for caption is used as the alternate text too. This has a disadvantage. There may be situations where you do not want to give a caption to an image. So in this case you have to manually enter the alternate text for the image. Time Consuming and inefficient. Come WOrdpress 2.9 this has changed. 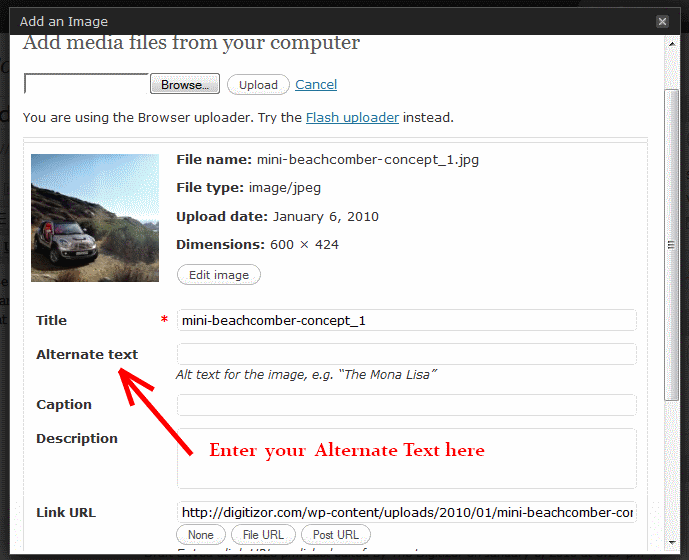 In the Image Upload Manager of WordPress (starting from versions 2.9 and above you can see a separate field for entering alternate texts to your images as shown in the screenshot below. This is really useful in setting alternate texts to your images while writing a blog entry. So upgrade to WordPress 2.9 right away.